Pakistan’s popular actor and producer Humayun Saeed has geared to make a film on the life of Pakistan’s leading cricketer Shahid Afridi named “Main Hoon Shahid Afridi”. After film “Kaptaan – The Making of A Legend” based on life of cricketer turned politician Imran Khan made by Faisal Aman Khan, another film “Main Hoon Shahid Afridi” is to be made on the struggles and life of former captain of Pakistan’s cricket team Shahid Afridi. 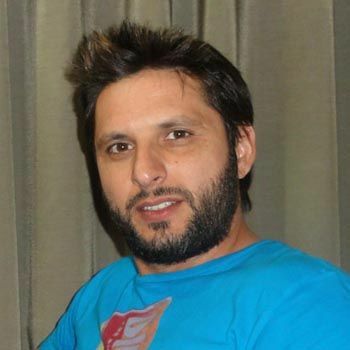 Shahid Afridi who is known as Boom Boom Afridi by fans is a youth icon. Every boy wants to be like Shahid Afridi. Thus, based on his popularity and the struggles behind all achievements Humayun Saeed and Shahzad Nasib have joined to make the film “Main Hoon Shahid Afridi“. “Main Hoon Shahid Afridi” will focus on a boy’s dedication who wanted to be a cricketer. It also carries a message for all boys who want to be a sportsman that to enter in sports they must have passion rather than scandals or controversies. Good luck to both Humayun Saeed and Shahzad Nasib. We hope best for their movie “Main Hoon Shahid Afridi”.